Bambi. The Land Before Time. Finding Nemo. Frozen. Tarzan. The Lion King. The Little Mermaid. Kung Fu Panda. Ice Age. Beauty and the Beast. Despicable Me. Countless fairy tales. Dead mothers. Dead fathers. Missing parents. But mostly mothers, mostly dead mothers. Trauma, trauma, and more trauma. What are we thinking? As some of you know, I run a popular group on facebook called What Do I Say? Answering Young Children’s Questions that focuses both on answering children’s questions and talking with children about difficult or tricky topics. In that group, certain themes and questions tend to repeat themselves, for obvious reasons–they are the things that present the greatest challenges to parents. Death is pretty high on that list. Death of a parent, death of a grandparent, death of a pet, death in general (young children are notoriously curious, especially between the ages of four and six or so, for being fascinated by death). We talk about those things a lot.The one thing that we haven’t talked a lot about is the almost amazingly consistent phenomenon of traumatic deaths of parents (again, mostly mothers) in children’s movies, and how that affects our children. Apparently, today was the day. Naturally, I did a little research. You know how I can get. 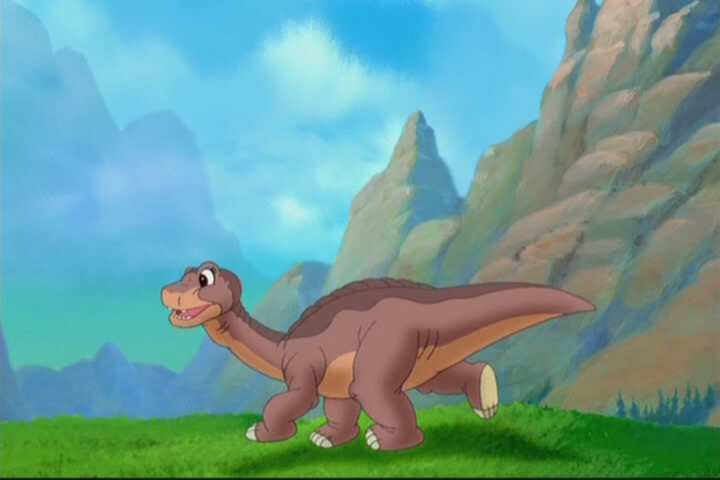 The discussion began with a parent whose child was asking repetitively about the death of Littlefoot’s mother (killed by a T-Rex in the act of trying to protect her child. Hot tip: no encounter with a T-Rex ever ends well) in The Land Before Time. The question was asked “How do we answer questions about the death of a mother figure without causing further anxiety?” Good question. ….my heart is aching and I have no idea what to do or say….saying “it’s so hard when that happens” to my son would not help at all. We were reading a science book about bees, and on the last page it says the queen bee lays an egg in the “queen cup” before she dies, and that’s when the questions and the tears started, almost at the same time. Questions about why the queen bee has to die led to fears of me dying and leaving him and his brother without a mom. He’s 5, highly sensitive, and extremely intuitive. I don’t know how he managed to connect the dots like that so fast and on his own. He then said he didn’t want to die, and when he finally calmed down later, he asked us (his father and I) if anyone here would die. How do you explain death to child when you have trouble dealing with it yourself? I seriously can’t breathe. (The Land Before Time scarred me for life. They’ve been putting the song from the movie on the radio lately which is so weird, and every time I get the wind knocked out of me). I began to write a response, but gosh, there was so much to say, this seemed to be a better venue. I want to go about this by responding directly to this mother’s comment. As may be obvious, this was in response to a suggestion that I made regarding the usefulness of acknowledging and validating the emotions that the child is expressing when they are upset or have questions about the death of a parent in a show or movie. And to this, I have to say that we may simply have to agree to disagree. I have shared these acknowledgment strategies with many people over the years. They have “worked” for some and not for others. It has become pretty clear over time that the people they did not work for were using them in a way other than the way they were intended. Let me explain. If you read what I have written: “it’s so hard when that happens,” and you take it and use it with just those words (because I do know that so many parents want to know “what to say”), it often doesn’t work. First of all, they’re not your words, and they come out sounding awkward and not like you, which your child can hear and sense. So let me be clear–when I suggest wording such as this, I don’t mean these specific words. I mean your own acknowledging words, in a way and a tone that is true to you. That’s what I mean by authentic. Kids–even toddlers know when we’re not being authentic. They can spot a “parenting strategy” from a mile off, and they know it’s “fake” (as many children have informed me) and you most often do not get the response you’re looking for. Say it like YOU. Say it the way you see it, the way you feel it. Name what they are feeling or expressing. “It’s so hard when that happens.” “It’s so upsetting, isn’t it.” “Scary stuff, right?” “It’s so overwhelming to think about moms dying.” “That movie really hit you hard.” Or none of these. Authentic. Your words. Your observation. Your reflection of what your child is saying and feeling. Did I mention that I’ve never seen it not work? Delivery is key. These aren’t words. These are a collection of words, a statement, a sentence that is intended to express empathy for what they are feeling, to let them know that you see them, you hear them, you get how upsetting it is, that it’s perfectly valid for it to be upsetting, and that you honor their process. Empathic. If you say these words “It’s so upsetting, isn’t it?” like you read them out of a book–or like some strange woman on the internet (hi there) told you to, they won’t work. Your expression, your intention, your body language, your intonation, your intention–they must all be clear. Your expression and your intonation must match the emotion–not in as extreme a version as they may be for your child, but matching nonetheless. You are telling your child that you get it. That you believe them and that you honor that this is their experience. It’s something money can’t buy. I’ll give a personal example, because not only did i use these strategies with my own child at 3 and 4, but I still use them now that she is 15. The other day, I picked her up at school. She was frustrated with a teacher who she felt did not give adequate feedback about the students’ work (or she felt that way on that day, anyway), which for my daughter means that she doesn’t know whether she’s going to get an A (important to her) or what she would need to do to get an A. She sounded angry–her voice was raised, she was waving her arms, she had a tone (after all, she’s 15) like this was an outrage. I was listening. If I had said “You sound angry.” (as some proponents of this sort of listening might suggest), I would have gotten a massive eyeroll and the conversation would have stopped. Why? Because it sounds “canned,” (like it’s something I read in a book), because it sounds too “therapy-ish,” and because it doesn’t sound like me. If I had said that, and I had gotten shut down, I would conclude that this strategy “doesn’t work.” So I didn’t say that. I just kept listening. I put aside in my head all the judgmental things that i could possibly be thinking (“she has such a low tolerance for ambiguity!” “why does she obsess about grades when we’ve always told her it’s not important?” “she’s so dramatic!” “oh, she’s probably mad about something else” “why does she have to have something negative to say every day? !”) and I just kept listening. When there was a pause, and it seemed to be time for me to speak (timing is everything), I said, “So frustrating!” (with a tone and and expression that match genuine frustration). That’s it. Nothing else. I said it not because “acknowledging is the right thing to do” (I don’t really think about that anymore, it’s pretty automatic most of the time). I said it because I want her to get it that I get it–that it is frustrating to her. I want her to feel seen and heard. Her response? “Yes!” and then she went on for a short bit, and quickly shifted to something more positive. Authentic. Empathic. It works. Which brings us right back to the last word–the “queen of them all”: Works. When a parent says to me that something doesn’t work or something wouldn’t help at all, I will admit that my first thought is that maybe we don’t have the same definition of “working” or “helping.” And that’s important–really important. Because, you know, if we’re going to help one another, we need to make sure we’re speaking the same language. So…what does “works” or “helping” look like to you? What do you mean when you say something “would not help at all”? Do you mean that it won’t make the child feel better? Do you mean that it won’t stop a child from crying…or screaming…or tantruming? Do you mean that a strategy, all by itself, won’t put a child’s mind to rest, alleviate their anxiety, erase their fears? Do you mean that it won’t settle them? Do you mean that it won’t satisfy their questions? What is your goal when you are looking for something that will “help”? You see, when it’s me that’s answering your question, we’re in a bit of a quandary–because none of those things resemble my goals. My goal is to honor the child’s feelings, and to allow them to express them and process them until they are done (even if that means screaming or crying or nightmares). My goal for our relationship is for me to better understand my child and for them to feel confident that they can ask questions, struggle with difficult things, and explore any and all emotions with me in an atmosphere of safety. My goal is to be a resource, a comfort, a patient absorber of all of those big feelings, a model for how to manage feelings that can be overwhelming without letting them swallow you up. Now, I’m not claiming I do all of these things perfectly–not by a long shot sometimes–but they remain my goals nonetheless. And with those goals in mind, answering questions, acknowledging feelings, and not being afraid to discuss any topic that arises, work just perfectly. Of course, if you want them to stop asking, your strategy would be different. Ideally, we are guided by our goals. What are your goals? Now, I would never be one to suggest that statements of acknowledgement and validation of their feelings or expressions stand as the only thing that you do (although to be fair, sometimes it is enough–we have to follow our children’s lead on this.) It’s a good start, and important start. But no, in most cases, it’s not all that needs to be done. If they have questions, those questions deserve answers. If they have fears, those fears deserve a response (in addition to being acknowledged). If these experiences make them anxious, that deserves our attention. It depends on the child’s age. Children under 7 or so do not really have the capacity to understand the permanence or nature of death. The thing they are responding to in the movies is the feeling and fear of loss, of disconnection, of not being able to be with their most important people, their parent(s). Although they are asking “will I die?” or “you’re not going to die, are you?”, what they are most likely saying is “I don’t want to be without you” or “I don’t want to be alone.” You’re probably better off responding with a simple acknowledgement that what happened in the movie was upsetting (a good all-purpose word, since you don’t know if they’re scared or angry or sad, and they might not know either. ), and then responding to them as if they were saying “I need you. I want you here with me.” My suggestion in that case would be to say “It’s so important to have a mommy (or daddy, or whatever role you hold) to take care of you!” or (again) something of the sort, in your own words. You can talk with children in a general way about death, especially if they haven’t experienced death in their lives. With young children, you should keep your answers clear and simple. Answer questions that are asked in a straightforward way, but without using too many words, or reading too much into what they are asking. Don’t feel like you have to explain everything at once. There are some wonderful books that introduce children to the subject of death in a non-threatening way. My personal favorite is “Lifetimes,” which simply explains that everything that is living has a lifetime–a beginning, a middle and an end. Get it, or check it out from the library. Leave it lying around. Make it one of the books you read just in the course of life, not as a “special book that we have to read now because of this scary death thing.” Normalize it. How do you explain death to child when you have trouble dealing with it yourself? This is so beautifully said. So poignant. And so true. This is by far the hardest part of parenting, I am absolutely convinced of it. Parenting means we have to grow up (I know it sounds silly and extreme, but it’s true.) We have to deal with our own demons, conquer our own fears, strengthen the parts of us that are vulnerable, and be able to set aside our own emotions to be able to be calm, reliable, and helpful resources for our children, who depend on us. If you have trouble dealing with death yourself, talk with someone about it, work it through. It is only in feeling comfort with the difficult subjects that we can transmit them to our children in ways that do not create undue anxiety. It is for this, and for so many similar reasons, that I started What Do I Say?. Come join us. It is a vibrant, warm, nonjudgmental space in which you can ask other parents and professionals what to say when you get in these situations–because we all have things that we find hard to talk about. It is a safe space to ask questions and to get support for these, some of the trickiest moments of parenting. See you there! This entry was posted in children, conversation, difficult topics, media and tagged "Are you going to die? ", anxiety, death, disney, fears, preschoolers, talking to children about death. Bookmark the permalink. Great post, Robin. Very illuminating re: the empathy piece. And interestingly, I’ve fielded some tough death questions lately. For once, I feel like I said the right thing.